Brandon Hill is an explorer of multi-media storytelling. His photography, videography and graphic designs have been used widely to document and amplify actions, mobilizations and campaigns from across Washington D.C. and West Virginia to Oakland,California, Malaysian Borneo and now South-Central Alaska. In 2015 Brandon’s collaborative work has premiered at the Wild & Scenic Film Festival and The International Wildlife Film Festival in a film documenting a proposed coal strip mine in Alaska, just 45 miles west of Anchorage where he lives. 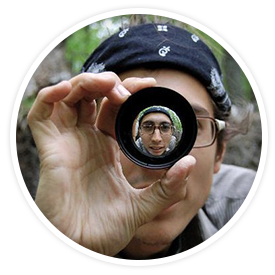 As a naturalist and activist for the last 10 years Brandon’s lens has followed him through an education of social and ecological justice issues around the world. He has experienced the camera as a powerful tool for sharing incredible stories and has also witnessed it’s disturbance in fragile moments when being present is much more impactful. He believes that it is essential to be reflecting our movements creatively so that more people can see themselves in it.